Private sector IR35 reform will happen way before long-term changes to employment status on the back of Matthew Taylor’s already-published review get made, the taxman suggests. In new IR35 Forum minutes, HMRC says the Taylor response consultation – due this year -- will consider the long term case for reform, but it adds “there is a more immediate need”. Namely; “to consider how best to tackle private sector non-compliance with the off-payroll working rules,” which -- the Revenue calculates for the first time, will deprive the exchequer of £1.2bn by 2022/23. HMRC has pushed to make only one legislative change to IR35 in its 18-year history (a largely technical tweak for ‘office-holders’). And, until now, it has struggled to put non-compliance in figures. So the “immediate need” might surprise some, notably those who said a proactive taxman could, if he’d wanted, unveiled the promised private sector IR35 reform consultation as early as last month. Though officially, an outright “extension” of the public sector’s April 2017 off-payroll rules to the private sector is “only one option in a wide-ranging consultation,” HMRC told the December IR35 Forum. But there is no other model being mooted (by the Revenue). Moreover, “immediate need” to tackle private sector IR35 non-compliance was mentioned on three separate occasions by tax staff at the meeting. 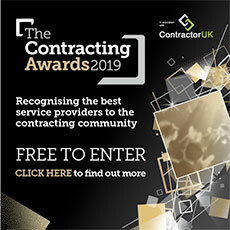 “[This is] yet another hint from the government…that changes will be introduced to the private sector perhaps as early as April 2019,” says Seb Maley of IR35 specialists Qdos Contractor. He is advising private sector outfits that currently have PSCs supplying them to ‘begin preparations now’ -- a process that the “big engagers” were said by an ex-tax officer to have actually started before Christmas. Almost on cue, HMRC used this latest meeting to announce that the CBI, the UK’s top representative of large private sector employers, will be joining the IR35 Forum as a fully-fledged member. Other members are just happy that the Revenue is sticking to its plans of consulting before acting. Industry has said it hopes the consultation is a genuine 'open-minded' exploration, not an outline of what officials have already decided. Should it be the former, the Revenue will head off receiving a criticism it has received in the past. And there’s evidence in the meeting that the department has learnt from at least one of its past mistakes.